Here are definitions to some common terms you'll see when reading about Medicare coverage. A coverage stage within the Medicare Part D prescription drug benefit. This coverage applies after you have reached your plan's annual out-of-pocket cost limit for covered drugs in a calendar year. A percentage amount you pay for a covered service or prescription. For example, you might pay 20 percent of the cost of your doctor office visit each time you see your doctor. 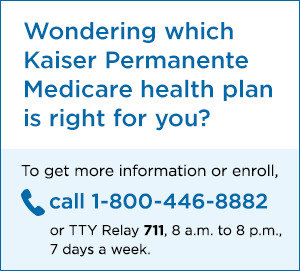 A fixed dollar amount you pay for a covered service or prescription. For example, you might pay a $20 copay each time you see your doctor. A coverage stage within the Medicare Part D prescription drug benefit. The coverage gap applies after your drug costs have reached a certain amount during the calendar year. This amount includes both what you've paid and what your plan has paid. During the coverage gap you may have less coverage and may pay more for your drugs. After you've paid a certain amount out of pocket, including the value of any brand-name drug discounts you receive while in the coverage gap, you qualify for catastrophic coverage. An amount you must pay out of pocket before your plan begins covering costs for most services or prescriptions. Not all plans have deductibles. In the Medicare Part D prescription drug benefit, this is the full price of a drug, or the amount you pay and the amount your plan pays for a drug, added together. If you get extra help paying your drug costs, the coverage gap does not apply to you. A list of drugs that a plan covers. A managed care type of Medicare health plan. Medicare HMO plans must cover all Medicare Part A and Part B services. With most HMO plans, you can only go to doctors, specialists, or hospitals in the plan's network, except in an urgent or emergency situation. Doctors, hospitals, pharmacies, and other health care providers that have agreed to provide members of a health plan with services and supplies at a discounted price. With some health plans, your care is covered only if you get it from in-network providers. A coverage stage within the Medicare Part D prescription drug benefit. This coverage applies from the beginning of the calendar year and continues until your drug costs reach a certain amount. During the initial coverage stage, you typically pay a copay or coinsurance for your drugs. Federally funded insurance for inpatient hospital stays, care in a skilled nursing facility, hospice care, and some home health care. Federally funded insurance that helps pay for certain doctors' services, outpatient hospital care, durable medical equipment, and some medical services that aren't covered by Part A. Part C refers to Medicare Advantage plans, which combine your benefits from Parts A, B, and sometimes D (prescription drugs) in a single plan. Medicare Advantage plans are offered through private companies and must be approved by Medicare. Federally funded insurance for prescription drugs that is available through private companies as stand-alone drug coverage or as part of a Medicare Advantage plan that includes Part D.
If a plan offers an out-of-network benefit, you have the option to seek plan services outside of the plan's contracted network of providers. Out-of-pocket costs may be higher for out-of-network services. Any cost you pay for covered services or prescriptions. Deductibles, copayments, and coinsurance are all out-of-pocket costs. The most you will have to pay out of pocket for services or prescriptions in a calendar year. Plans may have different maximum amounts for medical and drug expenses. A type of Medicare Advantage plan where you pay less if you use doctors, hospitals, and providers that are part of the plan's preferred network. Typically, you can use doctors, hospitals, and providers outside of the network for an additional cost. A classification used to identify what cost share you pay for a drug. More commonly used and less expensive drugs are usually in lower tiers (for example, tier 1 or tier 2) and often have lower cost shares. Specialty or higher-cost drugs are classified in higher tiers (for example, tier 5) and have higher cost shares.